Here at the global HQ of Virtuous Bread, we frequently reflect on bread. Who bakes it? Where are they baking it? Why? And how? People who come to bread classes may be surprised at how hard we make them work to knead the bread for 10 minutes by hand! 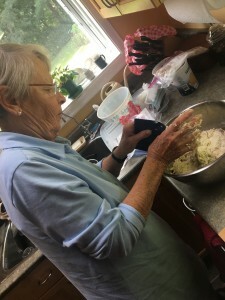 Insisting on this activity is a bit mean on our parts because many people do have mixers and could, of course, put dough in the machine to knead it when they are at home. However, kneading bread in a group is actually fun. You can chat, or not. 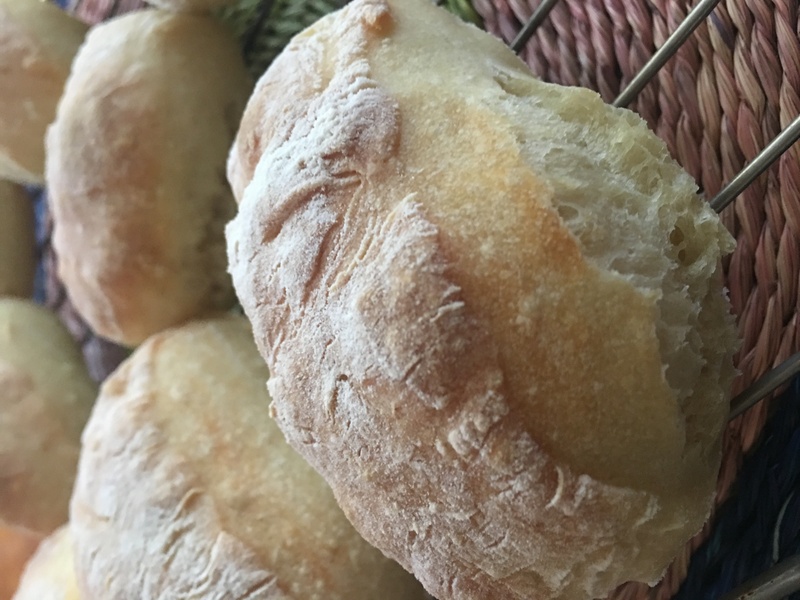 You can lean how to adjust your dough (a little more water, still more water...) and how to test when it is ready - whether or not it is kneaded by hand or machine. Many older people would have trouble kneading dough for 10 minutes. Either because they are generally frail or because they have arthritis in their wrists. 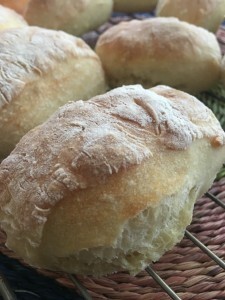 If this is the case, dough made with wheat or spent flour that is wetter than normal can be very successful with a "no knead" method. Stir, stretch and fold, shape and bake. 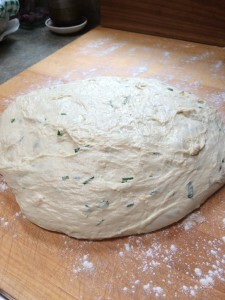 Similarly, rye bread is a wonderful alternative because the dough does not have to be kneaded at all. Stir, tin, wait, bake. Mum. 88. Actually she loves kneading dough and is always a bit disappointed when we are doing a stretch and fold dough. 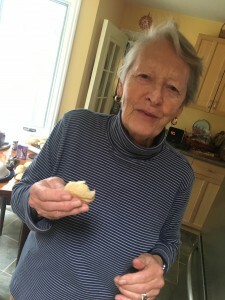 Many of the Bread Angels work with the elderly, using bread as the medium to create communities, encourage activity and inspire feelings of belonging, achievement, and giving back. Michelle at Planet Leicester Bakers runs various wonderful projects in her local community, harnessing the power of bread to bring people together. She is central to the Baking a Difference project which brings elderly people in care homes and sheltered accommodation together, and in closer touch with their communities, to reduce loneliness and enhance well being. This is how a really wet dough literally pours out of the bowl. Worry not! It's easy to shape once you get a knack for it. It is not obvious how to work with really wet dough. Rather alarmingly, when you scrape it out of the bowl, it forms a puddle on the counter top and sticks to EVERYTHING. There is a temptation to think it's not done and you have to add more flour. NO! That is not the answer. A scraper, a dusting of flour, some flour on your hands (not the dough), and practice! These are the ingredients for working with a very wet dough. If you still find yourself mystified and frustrated, come and take a class with us. Most of our classes deal with dough that, for many people, is already pretty wet. 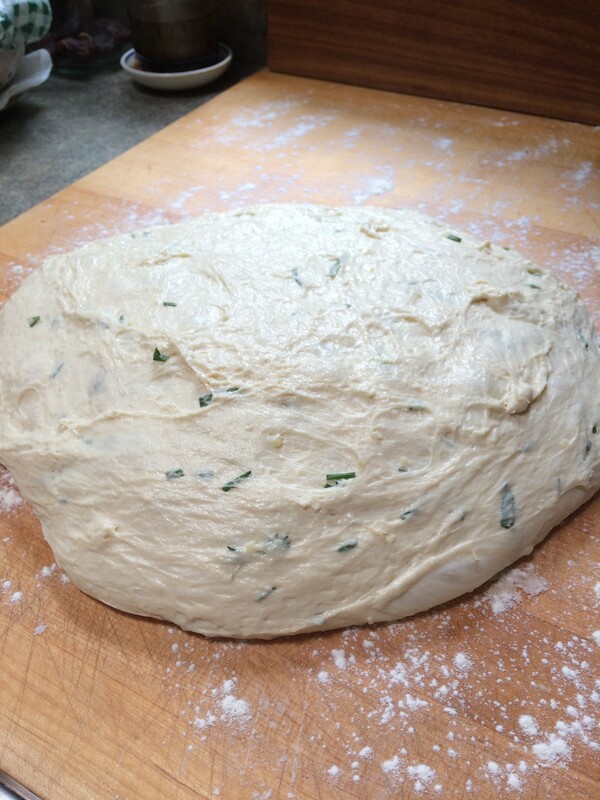 However, an Italian bread class will definitely have you working with super wet dough. Just type "Italian" into the search bar on the Bread Angels course finder. Really wet dough always looks a bit disappointing before it goes in the oven. You do think to yourself, "surely that is not actually going to turn into anything." However it does! Trust yourself and the science of bread dough to turn out something beautiful as well as delicious that everyone can make and enjoy. Mum enjoys her bun, still warm from the oven.